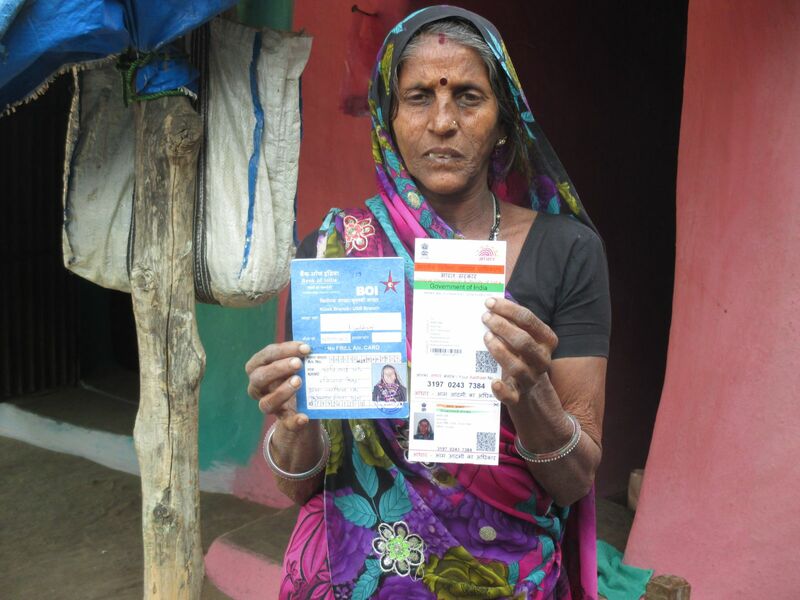 “I skipped one day of my work and went to the Aadhar card camp with the hope to receive a receipt for the card. Though I missed that day’s money but for me it was successful attempt as I can now get subsidised ration after receiving Aadhar card. Added to that I enrolled for Pradhan Manti Jan Dhan Yojana and this was possible by SoochnaSeva team’s help.” says Kanti Bai Kevat from Khatkiya village of Chanchoda block in Guna district. She is a daily wage laborer and contributes major share in the family’s daily needs. Her husband is a drunkard and passes his whole day without earning a penny. Her son works as driver and also participates in the family’s expenditure. They are below poverty line but due to lack of Aadhar card they could not avail 35 kg wheat in 2 rupees per kilo. Therefore, Kanti Devi visited Aadhar card camp which was organised by a nationalised bank in association with Soochna Seva. Though there was a huge gathering, Kanti Devi insisted the team to carry her request forward as she could not afford coming next time. The team sensed the urgency of the situation and assisted her in the process also they assisted her in filling Pradhan Mantri Jan Dhan Yojana.